Laser skiving is a selective ablation process that can remove one material with or without affecting an underlying material. In the simplest terms, laser skiving is the use of energy over time. Where some skiving tools use random energy delivery within a desired area, Micron Laser Technology can effectively ‘etch’ a material in a controlled order of energy delivery across the material surface. This creates a uniformed visual effect and significantly less variation in surface topography when depth control is desired. Laser skiving is a function of material and wavelength for absorption. Skiving methods can be classified as material boundary or control depth dependent. Skiving depth can be controlled by the physical boundary of a dissimilar material’s absorption rate (i.e. polymer to metal). 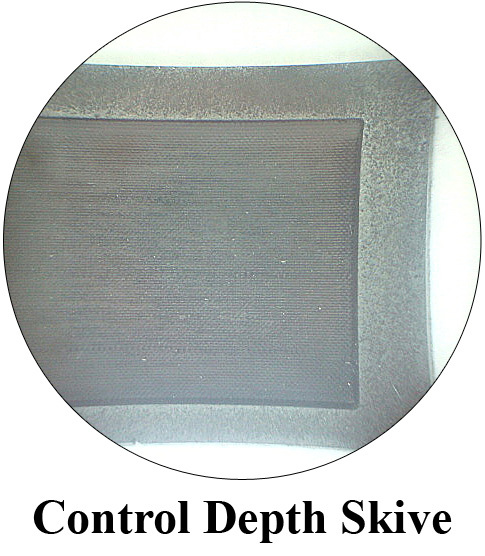 Control depth skiving allows for a stopping depth in the same material by removing one thin layer of material at a time without cutting through the material. Our superior laser energy control can stop in less than .001″ thick of adhesive. Some skiving applications include insulation removal to expose an underlying metal wire or a medical device manufacturer requiring small geometries in multi-lumen catheters for drug-delivery. Other traditional skiving methods lack repeatability and consistency and vary with operator skill level. Printed circuit board manufacturers’ typical applications include contact or pad exposures for flex circuits or cavity formation on rigid circuits. Laser skiving can be performed to clear all dielectric material or to stop without cutting all the way through. MLT has developed processes to handle a wide range of materials from flexible dielectrics to rigid, reinforced materials and even some thin metals. Whatever your skiving needs, MLT has the solution.